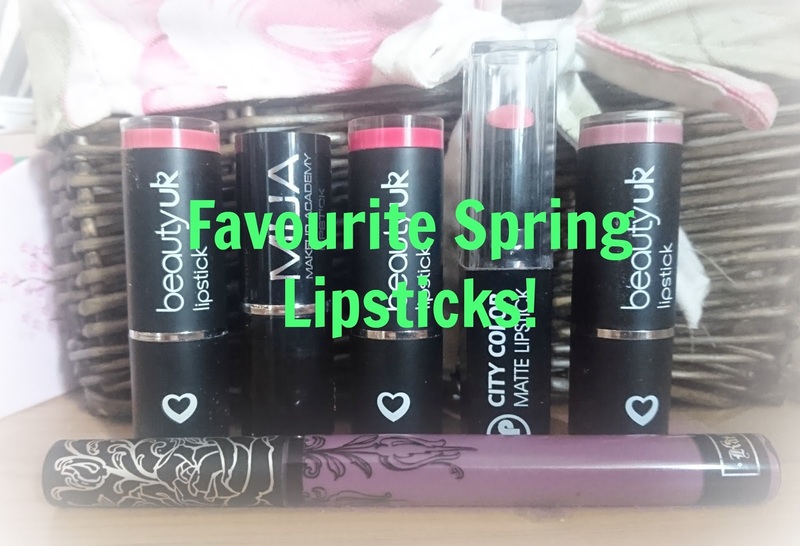 TheDarkeowl: Favourite Lipsticks for Spring! The first colour is Beauty UK's lipstick in the shade 'Snob'. 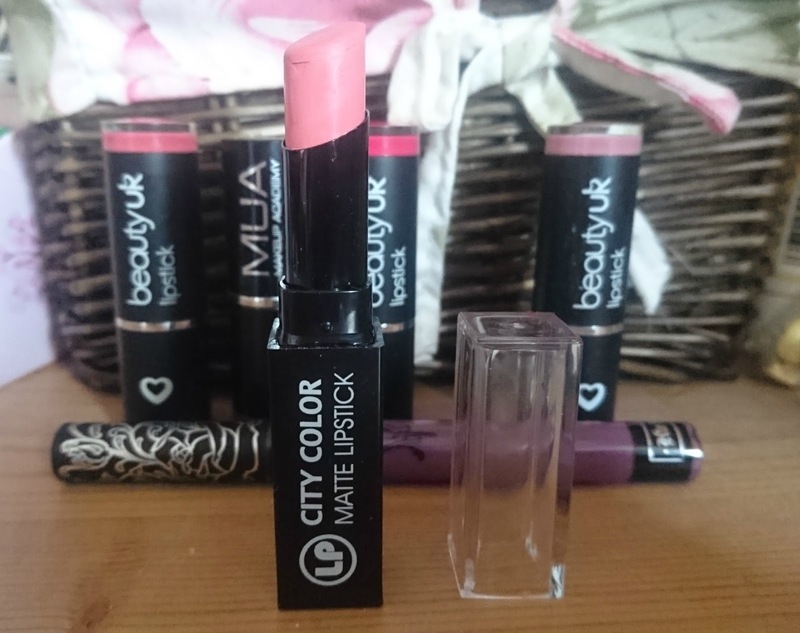 This is a beautiful mute pink matte shade and is a great transition colour for Winter into Spring! It is actually a similar colour to Mac's lipstick of the same name, but on a much friendlier budget of £3.49. I find that this lasts longer than creamier shades but can be a little stiff to start with and will need reapplying after food. Overall though this is a great lipstick and works well for a slightly more unique lip look! I have another Beauty UK lipstick next. This is there shade 'In the Buff'. It's a slightly more pink/coral colour and looks a little more natural on the lips. 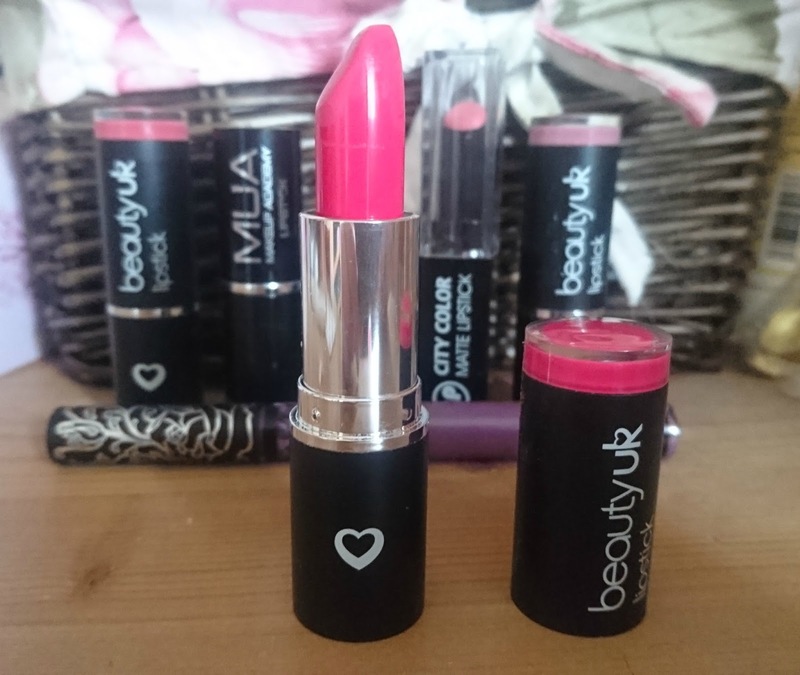 It's creamier than Snob and leaves a nice sheen on the lips, without being high maintenance or sticky. 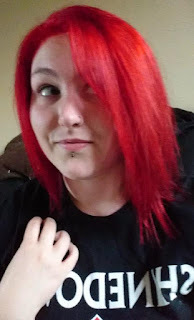 Once the colour has dried down it is a little more matte but I tend to need to reapply when it gets to this stage. Again, it has decent lasting power and smells really good! 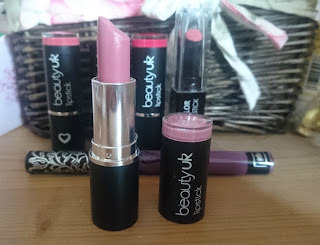 It seems that my favourite lipsticks for this time of year are created by Beauty UK! I promise this is the last one by them! This is their shade 'Passion' and is a really pretty bright pink colour, which is great for adding some fun in the spring months! 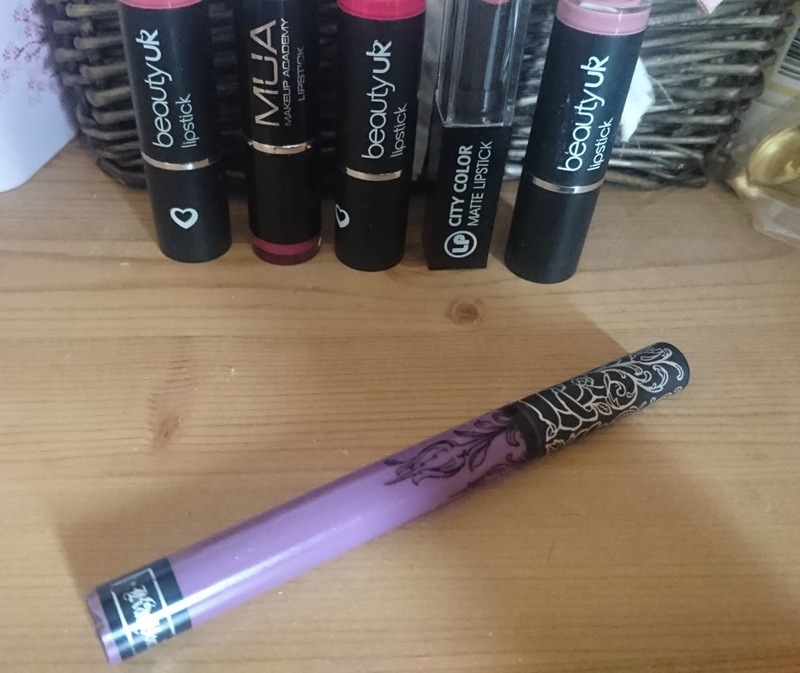 Like the other Beauty UK lippies, this glides on brilliantly and lasts a great amount of time for the cost! This is another glossy one but does stain the lips a little more than 'In the Buff'. Next up is Shade 2 from MUA. This is one of their original £1 shades and I've had this for quite a while! 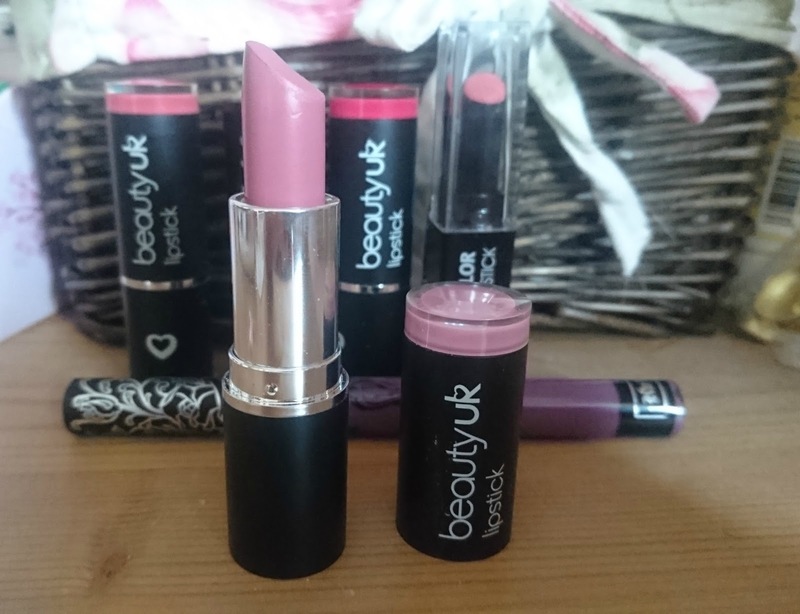 It's a great natural mauve colour and looks so beautiful on the lips! It's a pretty sheer colour so it looks really subtle, but it does add enough colour to the lips! For £1 you really can't go wrong with this colour. I have another matte favourite for spring. It's a colour from the brand City Color and is in the shade 'Soft Pink'. This can sometimes be a little difficult to work with because before it's warmed up on your lips it is pretty stiff. It is also heavily fragranced but this fades once it is on your lips. It lasts well on the lips and only really needs topping up after eating. It's such an easy maintenance colour and looks great if you have bold eye makeup on! And last up Is my Kat Von D liquid lipstick in 'Ayesha'! To be honest I think I will always find a way to shoehorn this colour into every season. 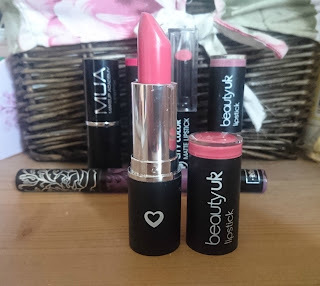 It is one of my favourite lipsticks and I just cannot recommend it enough! This lasts brilliantly on the lips and barely fades even when I eat. I do think this is brilliant for the spring time however, it is a soft purple and reminds me of the flowers springing up at this time of year! It's one of my more expensive lipsticks but for the quality I don't mind! 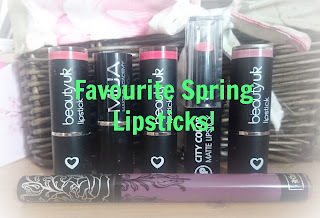 So those were my favourite lip colours for the Spring season! 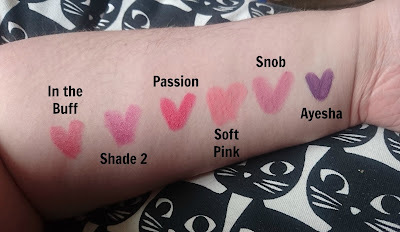 I tend to change my lipsticks all throughout the year but these are the ones I tend to head toward this season! Do you like any of these shades? 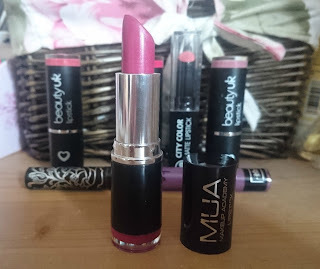 Have you got any of these lipsticks? What are your favourite colours for spring? Let me know!